The “cool and humid climate” necessary for making whiskey, “being blessed with water”, “being clear in the air”, these conditions are all in the surplus. The Nikka Whiskey Hokkaido Factory is a fashionable retro space where you can feel the atmosphere of Scottish hometown of whiskey. Besides factory tours, there are “Yoichi Sake Brewery direct shop” where you can buy precious sake, and a shop “Northland” where you can buy gifts and souvenirs. In addition to tasting whiskey and soft drinks at the Nikka Kaikan Hall, you can enjoy meals at the restaurant. 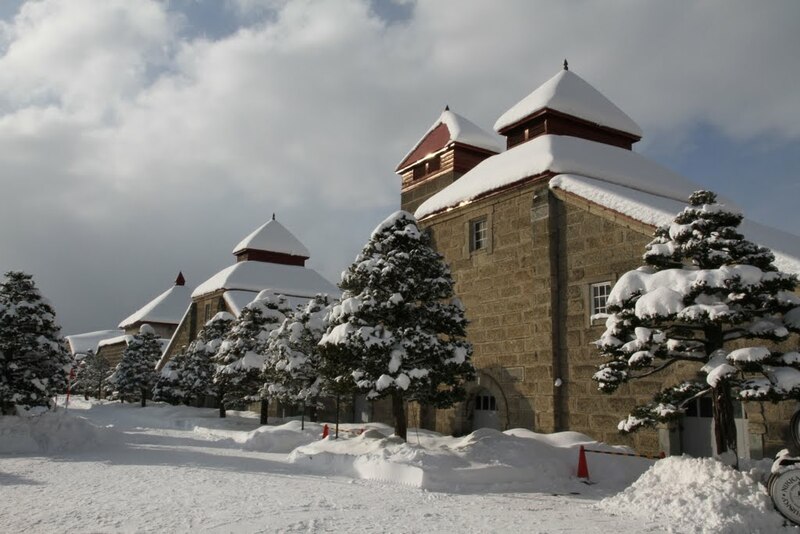 Once you step in to “Nikka Whisky Yoichi Distillery”, brick and stone buildings line up in the background of the mountains of Hokkaido, where you can feel the atmosphere like Scottish hometown of whiskey. Because it is close to the Sea of Japan, a clear wind including the smell of the sea runs through the distillery depending on the wind direction. Many historical buildings such as the stone main gate, kiln tower for drying malt, reservoirs, etc. are still being used as it is today. In the tour with guides, you can receive not only explanation of the manufacturing process but also explanation of the building etc. actually used. In addition to looking at the exterior of the building, please also enter in the open building. This distillery, which is a gift of the pioneers’ efforts, is also registered in the modernized industrial heritage, and you can observe the way that thoughts and techniques are still being handed over. In the distillation tower which is doing “Coal direct flame distillation” which is already the only production method in the world, you can experience the weight of coal put on the scoop. Also, in the Kiln tower for drying malt, you can touch Peat (grass coal) burned for scenting. It is a tourist content that makes you realize the manufacturing process. Nikka Whiskey Yoichi Distillery seems to have many visitors who will become fans thanks to the hospitality of people working in the factory. Therefore, it is especially crowded at lunchtime when the sightseeing bus arrives. Those who want to visit slowly and those who eat are recommended to visit early. The Nikka whisky Hokkaido factory Yoichi distillation that is famous nationwide as the facilities where there is tour of the plant free. It is a popular site which about 500,000 visitors visit a year. The founder, Mr. Taketsuru, who is experienced in studying abroad to Scotland where is home of whisky, was sure that this ground in Yoichi fit making whisky, and he built the distillation place on this place. Many difficulties were overcome with dearest wife Mrs. Rita, and the first whisky was born in 1940. 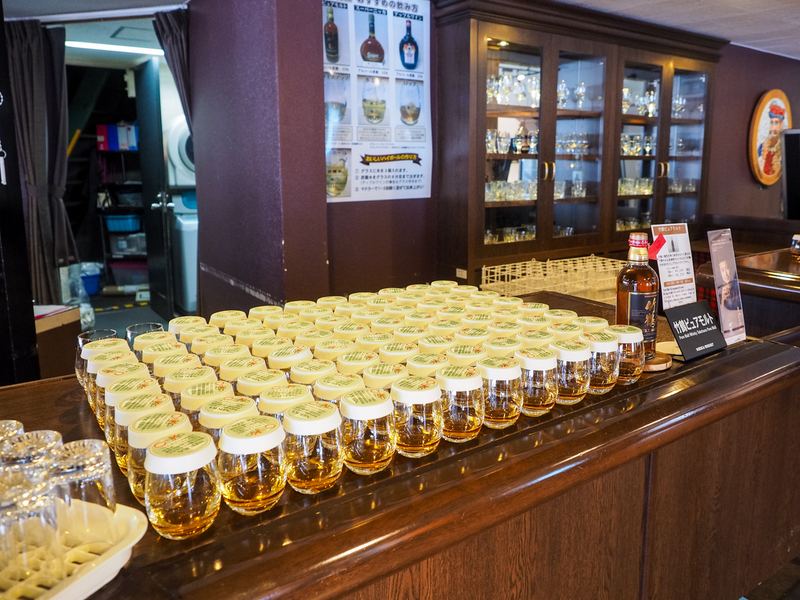 As a sacred place of the Japanese whisky, it continues making high quality whisky now. In the “whisky museum”, pot stills (single type distillation apparatus) used for generation of whisky is nearby observable. 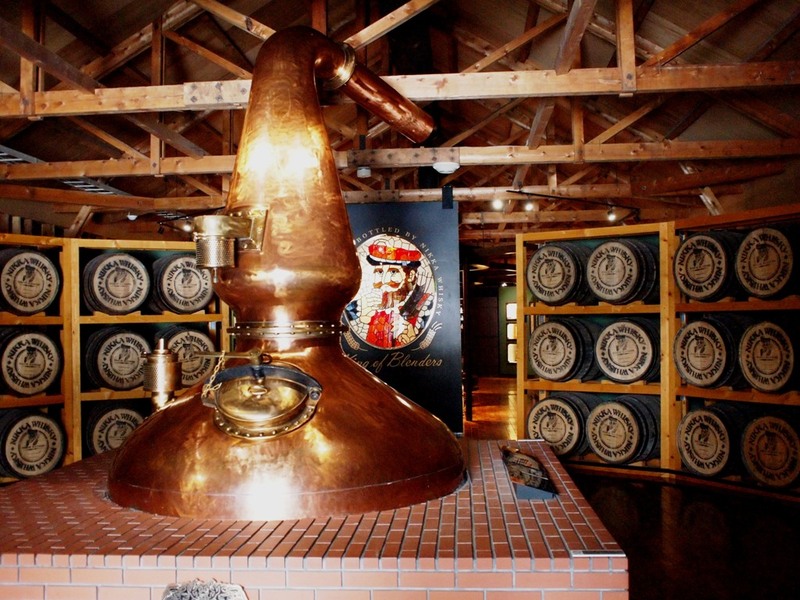 At the entrance, the pot still dignifiedly meets you. In addition, the various tools of making whisky and history, the difference in the manufacturing process by country, etc. are introduced, and it is impressive. 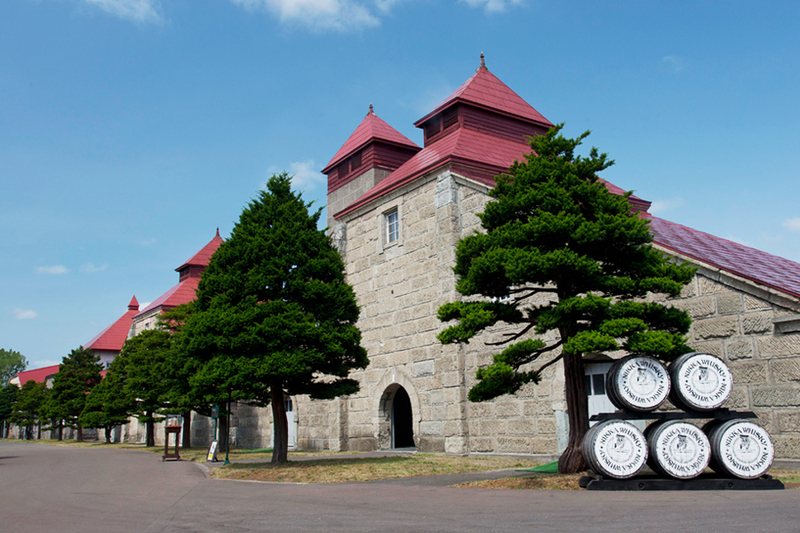 There are two places which can sample whisky in the Nikka Whisky Yoichi Distillery. 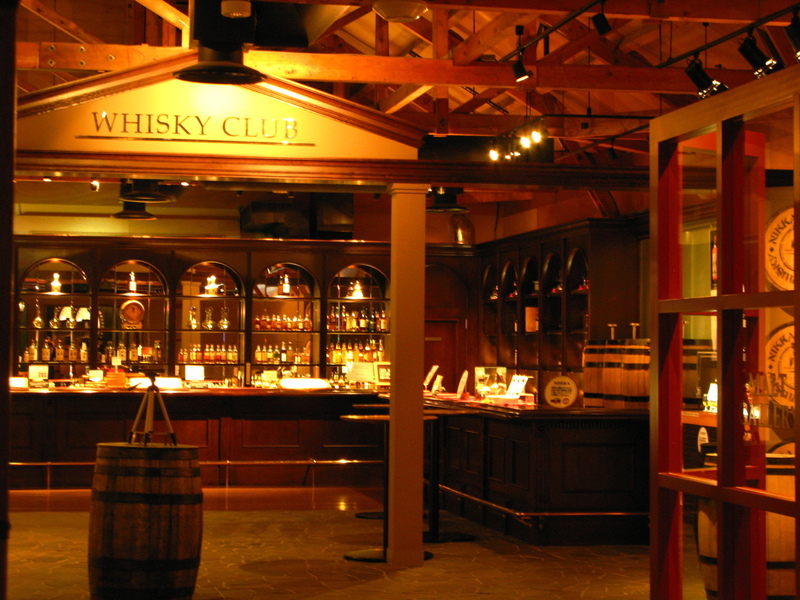 The 1st place is the charged sample corner “whisky club” in the “whisky museum.” The counter of a chic atmosphere imagines the pub in Scotland, and world whisky forms a line in a row. One more place is the sample hall of the second floor of the Nikka hall. It is an extremely popular corner which can sample three sorts of alcohol for free. Ice, water, carbonated water, etc. are prepared and you can choose the way of drinking freely. The inside of the factory which spreads to the vast site in Hokkaido shows seasonal expression. By inspecting the manufacturing process of whisky close at hand, the charm of whiskey can be felt further. 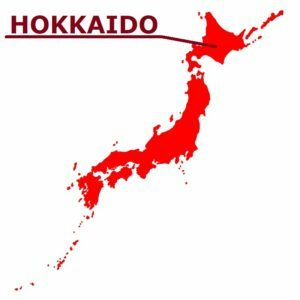 Please visit, if there is an opportunity to come to Hokkaido.